"Historically Speaking" by Barbara Rimkunas, Exeter News-Letter, August 6, 2010. Exeter’s location on the falls between the Exeter and Squamscott Rivers, gives it an aura of water abundance, but the earliest residents of Exeter were faced with the problem of procuring clean drinking water. The Squamscott River, which looks appealing, is salty, thanks to its tidal nature coming in from Great Bay. 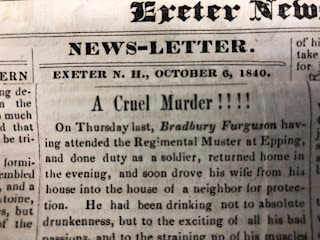 The freshwater of the Exeter River was only available to those living close by and it became fouled when lumber mills began dumping copious amounts of sawdust into the water in the mid-1600s. Most people would sink a well on their property if they wanted fresh water. It was an easy low-tech way to get water for your own family and animals. But by the late 1800s, it was becoming increasingly evident that small family wells were not the best solution for the town’s water problems. They dried up easily in summer and harbored a load of unsavory bacteria and natural contaminants, like arsenic. As an added problem, the lack of water made firefighting difficult in certain parts of town. Townspeople looked enviously at places like New York City, which had created a reservoir and set up a gravity fed system to supply the entire city in 1842. By 1880, Exeter was still supplied by a haphazard system of wells, springs and private cisterns. In spite of the obvious need, the citizens of Exeter refused to build a water works. It was too expensive. Seeing an opportunity for profit, a group of local businessmen banded together and in 1885 created the Exeter Water Works Company. A small stream off Portsmouth Avenue, called Wheelwright’s Creek, provided the water. 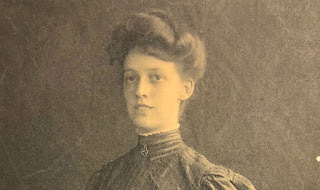 To create a reservoir, Nancy Merrill wrote, in her History of Exeter, NH: 1888 – 1988, “this venture involved a tremendous amount of hand-digging and horse-hauling. 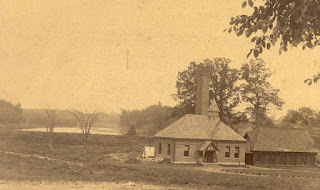 It was reckoned that when the area was flooded, it encompassed almost twenty-three acres, with a depth ranging from nine to twenty feet, and held twenty to thirty million gallons of water.” The town of Exeter made a deal with the Water Works to supply the town with water for firefighting and municipal purposes for $2000.00 annually. It also gave the town the right to eventually buy the water works. Although the water works itself was privately owned, the town paid for a sewerage system and required most homeowners to hook into it. At the same time, inspectors condemned many of the private wells and residents had no other option than to tie into the new water mains. None of this happened without the typical grumbling. One annoyed taxpayer wrote to the Exeter News-Letter, “Will you please inform me through the News-Letter where the statue can be found which makes it legal for the selectmen of the town to lay a sewer and raise the rate of taxation on property to pay for it – then compel owners of real estate to enter their drains into it at their own expense – and then assess them a large percent to pay for the privilege of entering the sewer? Can this be right?” The editor grimly replied that the town health officer could indeed compel abutters to link into the sewer lines when it was for the public good. The water was tested every six months and judged safe. The strange taste and color were caused by vegetative matter in the holding pond. This was eventually alleviated through the installation of filtration systems. 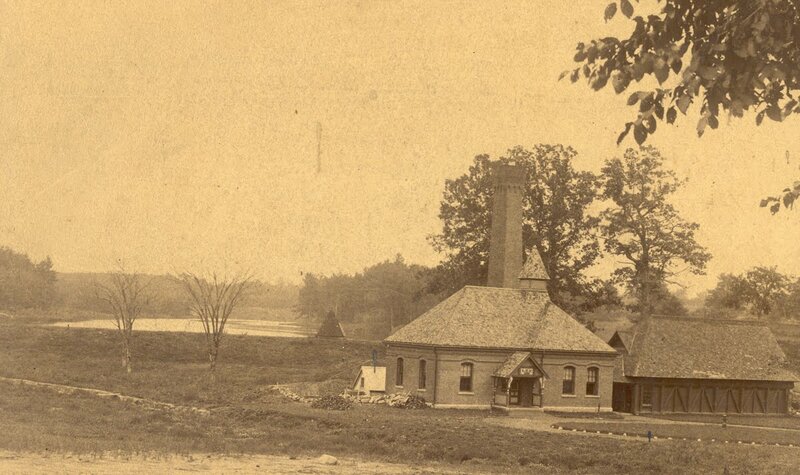 The Exeter Water Works Company served as a local monopoly for decades, but not necessarily because it wanted to. The town repeatedly discussed buying the water works so they could control the quality and pricing of water. Each time, from 1893 until 1950, the voters refused to pay for the system – even when it was determined that the Exeter Water Works pricing, based on the number of spigots, animals and cars one had, would be reduced if home meters were installed. When, after much discussion and debate, the water works was finally sold to the town, the meters went in a mere month after the purchase was made. Water quality quickly improved when new deeper wells were dug and the stagnant Water Works Pond was no longer used as the primary source for the town’s water.